This is the one thing where you do the opposite of what you normally would like to do when cleaning. Normally you clean from the top down when cleaning most things. Like dusting before vacuuming, or cleaning the lights and mirrors before cleaning the washroom counter. When cleaning walls clean from the bottom to the top this prevents the drips and streaks on the dirty part of the wall which are harder to remove from dirty walls than freshly cleaned walls. Use a cleaning solution bucket and a clean water rinse bucket. 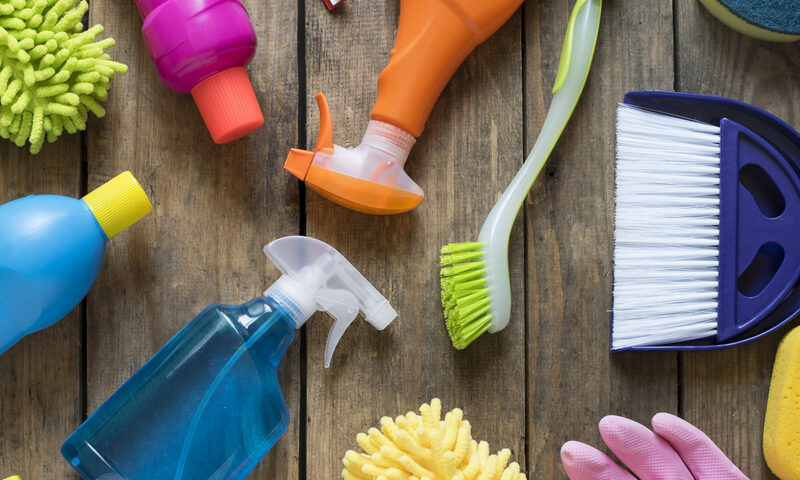 What you use will depend on how dirty your wall is. If you are cleaning before painting using a strong cleaner like TSP (found in any hardware store). For less dirty walls use a general purpose cleaner mixed with water. Invest in a professional wall mop from your location janitorial supply store, this will save time and back strain since it is a flat mop on the end of a broom stick. This allows covering more space quickly and using greater force or elbow grease while cleaning. In addition to not having to climb on ladders to reach the top.